Whilst global markets continue to experience degrees of stagnation, volatility, and even decline, the worldwide enterprise software market continued to experience solid growth throughout 2012, according to the International Data Corporation (IDC). 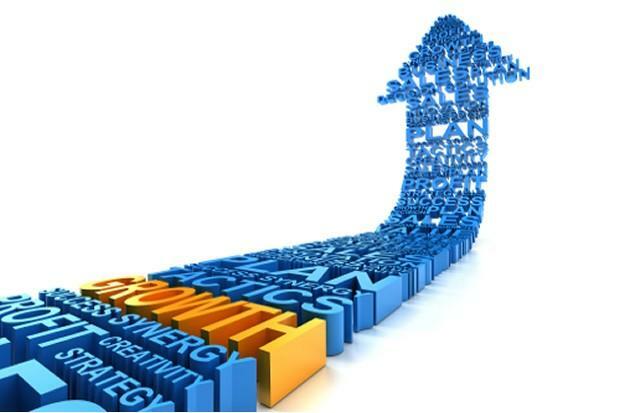 IDC’s Worldwide Semiannual Software Tracker report revealed that the global worldwide software market experienced a modest 3.6 percent year-over-year (YOY) growth rate, reaching a total market size of $342 billion. Whilst this steady growth matched IDC’s forecast of 3.4 percent, it equated to less than half the growth rate enjoyed over 2010 and 2011. "The global software market, comprised of a multi-layered collection of technologies and solutions, is growing more slowly in this period of economic uncertainty,” said Senior Vice President for Worldwide Software, Services and Executive Advisory Research at IDC, Henry D. Morris. However, as noted by Morris, this broad international market is comprised of many separate segments. Data Access, Analysis and Delivery – spurred by the search to harness Big Data through Business Intelligence – continued to push spending, with strong growth rates of around six percent. “The management and leveraging of information for competitive advantage is driving growth in markets associated with Big Data analytics,” said Morris. 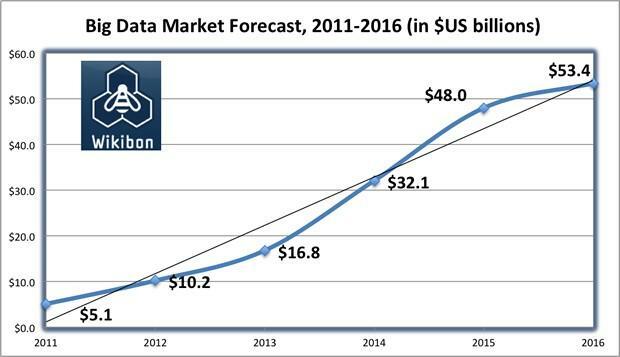 Wikibon’s Big Data Vendor Revenue and Market Forecast 2012 – 2017 report found that the 2012 Big Data market reached at total size of $11.4 billion. Perhaps more tellingly, the study predicted that figure to climb to $18.1 billion in 2013 – a staggering annual growth rate of 61 percent. 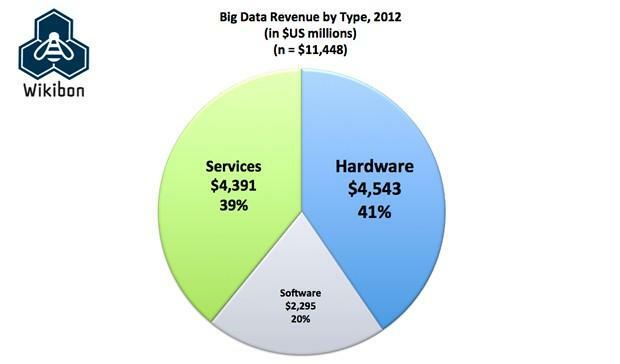 If sustained, the global Big Data market would exceed $47 billion by 2017, amounting to a compound annual growth rate (CAGR) of 31 percent across 2012 – 2017. The report attributes much of the actual and forecast explosive growth to two key factors: A better understanding of Big Data use cases leading to definitive ROI, in combination with the maturation of a range of Big Data specific products and services – in particular capabilities relating to Hadoop, NoSQL data stores, in-memory analytic engines, and massively parallel processing analytic databases. For the purposes of market analysis, IDC breaks down the total worldwide software market into three broad areas, including: Applications; Application Development & Deployment (AD&D); and Systems Infrastructure Software. Of these principal groupings, investment in AD&D comprised almost 24 percent of total software revenues for 2012, and was also the fastest growing market area with a 4.6 percent YOY growth rate. Sustained and cross-industry economic turbulence throughout Western Europe – which represents some 26.5 percent of the worldwide software market – negatively impacted overall global figures for 2012. However, it’s worth noting that Western Europe was the only region to experience negative growth in 2012, with the US (45% of overall market) relishing a six percent YOY growth rate. 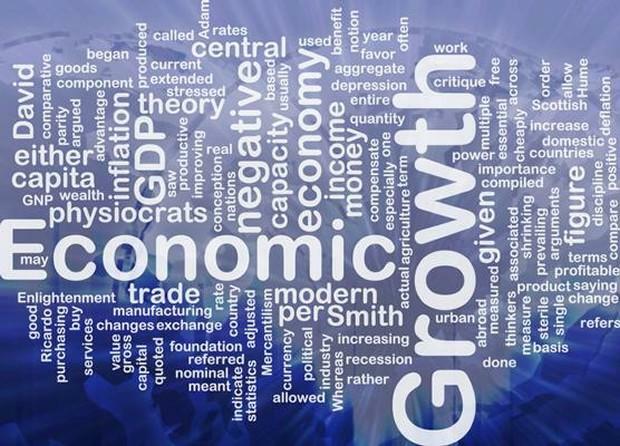 Emerging markets in Asia Pacific, Latin America, Middle East, Africa and Central Europe experienced solid growth in 2012. The biggest movers and shakers included Saudi Arabia, Peru, Colombia, China, and Turkey – all of which enjoyed double digit YOY growth rates.